Whether you’re new to the world of online poker, or a dab hand, there’s nothing more exciting than pocketing a bonus to help stretch your precious money further. However, as more online poker sites enter the market, these bonuses are becoming increasingly competitive and it’s hard to discern which is the best avenue to go down. See below for our breakdown of the different types of poker promotions on offer and what to consider before you to take the plunge. Many internet poker pages and online casinos offer a range of promotions and exclusive bonuses, but in order to profit from one, it’s worth remembering there are various types of bonuses on offer. While all online poker bonuses can seem enticing to the inexperienced, some are more valuable than others, while others aren’t worth their weight in salt. 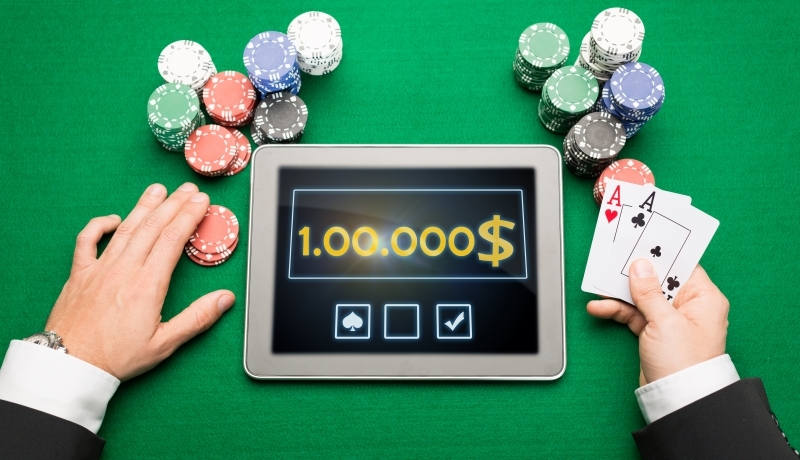 One of the easiest online poker bonuses to understand is a matched bonus. These are fairly typical of all online casinos and they’re usually offered as a promotion in general when depositing money to your online casino account. In short, a matched bonus means that whatever amount you deposit into your account will be matched by the online poker site you’re playing at. Say for example you deposit £50 to your account. Most UK poker pages offering a matched bonus will then credit your account with another £50. Although this can be a great way of boosting your kitty, it’s worth remembering that matched deposit promotions carry with them strict wagering requirements. More on that later. [b]Reload deposit bonuses[/b] are another enticing promotion that online poker pages use to keep customers coming back for more. Online poker sites offering this kind of bonus are usually bigger outfits who are looking to keep their users hooked, but it pays to be discerning when it comes to these promos. Reload bonuses work in much the same way as standard matched deposit bonuses, but the amount credited to your account by the poker operator tends to dwindle between deposit. You may only receive 80% of the amount added to your account come your second deposit, 50% or even less. As with regular matched deposit bonuses, you’ll need to adhere to wagering requirements before this bonus amount becomes eligible to play with. Most internet poker pages will try and entice you to join them with lucrative sign-up bonuses. It’s a common fixture of any reasonably sized online poker site, although the amounts deposited can vary wildly. Sometimes, these amounts can be as little as £1, while other online poker sites can grant you upwards of £100 as a welcome gift. Unlike matched deposit bonuses, sign-up promotions usually grant you credit that you can begin playing with immediately, although wagering restrictions usually apply before you can cash out any winnings accrued. Online poker sites offering a referral bonus are also worth looking out for. If you hang in circles that include a fair few fans of internet poker, this can be a great way of boosting your wagering kitty. Look into the small print though. Some internet poker sites offer you repeated referral bonuses if you refer multiple friends successfully, while others limit bonus payouts to a one-time-only deal. What’s more, some online poker bonuses in this category may require your referred friends to play a certain number of hands before the bonus qualifies. Just like everyday casinos, online poker sites have strict restrictions in place that limits your freedoms when it comes to cashing in on bonuses. You don’t just need to adhere to these rules in order to cash out on poker winnings, but you’ll also need to honour them in order to be able to play with the cash in some cases. Most of the time, poker sites will require you to play a certain number of hands before your bonus amount becomes eligible. Sometimes, you’re simply required to play a set number of hands, other times, an online poker page may judge your eligibility on a point system. Once you’ve played the necessary number of hands or earned enough points, your bonus becomes available to you. Keep your eyes peeled as to whether your bonus will be released to you systemically in smaller amounts, or whether it will be released to you in a larger lump sum. Both have their advantages, but both also require a lot of work in order to activate. How Do I Activate a Bonus? Depending on which online poker pages you play at, activating a bonus will be different. Most major online poker sites require you to input a special code in order to qualify for a promotion. This is almost always the case if you’ve come upon a promotion through a third-party website. The promo page for the website you’re playing at is always worth a glance over each day you visit, as many of these bonuses are short-lived and can differ from day-to-day. Once a correct code is input, your bonus amount should be credited to your account, or will be later once you’ve honoured the small print. Sometimes, clicking on a simple link is all you need to worry about to activate a bonus. Be careful when clicking links on third-party sites, especially ones you’re unfamiliar with. Internal links on online poker sites you’re playing at should be fine and well though. If you’re new to the world of online poker pages, you’ll need to remember a few key things when trying to pocket lucrative bonuses. First and foremost, bear in mind that big bonuses are often the most difficult to cash in on. There really is no such thing as free money, and easy money is almost just as non-existent. A big juicy bonus can look enticing, but smaller bonus amounts are usually the easiest to qualify for, without arduous hours spent playing hands and spending your own money before you’re able to enjoy a flutter with it. Again, wagering restrictions warrant special attention. For smaller bonuses at more established internet poker sites, they are usually quite transparent, but smaller outfits may try to swindle you with sky-high turnover requirements. You could end up spending a small fortune of your own money before you’re even close to releasing that bonus amount. Whichever bonus you decide to go with, make sure it works for you. If you’re a part-time poker player with no ambitions of fortune, pick a smaller amount that better represents your depositing history. If you’re a high roller with enough capital behind them to throw some serious coin at the table, those meaty rewards might just turn out to be worth the risk. Can the UK casino and gambling giant defend their positions against the newcomers of 2019? A Beginners Guide to Playing Poker!